It’s Institute week! We’re so excited to be meeting everyone in Cincinnati. In this post, two of our Institute Scholarship recipients share their excitement! We wish everyone safe travels and be on the look out for our live blog posts this week! As a librarian of color and one devoted to inclusive and equitable collections and programming, I’m most looking forward to the new Big Idea session: A is for Advocacy. I’m excited to hear and learn from the experts on the panel and take home strategies and practices that will enable my library to be more welcoming and representative of today’s modern, multicultural world. It’s not enough to believe in incorporating diversity, we need to get buy in from our stakeholders as well as administration so that the positive changes we make are institution-wide and lasting. 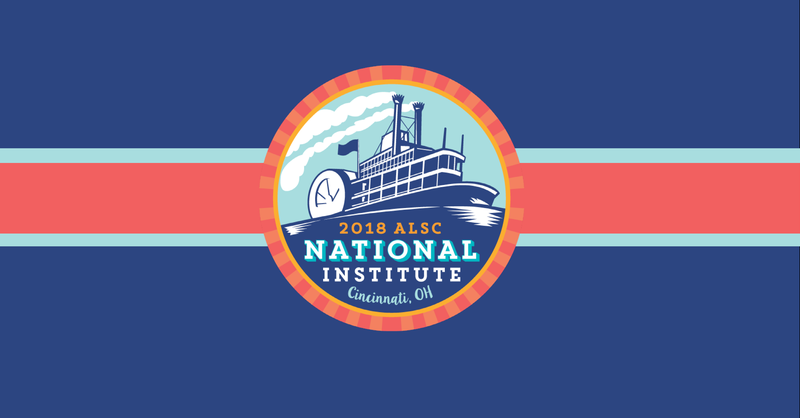 ALSC Institute is just around corner! I am so excited that made me smile uncontrollable here and there. More than anything, I am looking forward to attend regular programs. However, if I have to pick one among all programs, I would like to say that “Feed the Whole Child: un-limiting approaches to filling children’s heads, bellies, and hearts” is the most interesting program I am looking forward to attend. The library I work at has summer break spot which we serve lunch that partner with school district throughout whole summer. However, we recognized differences during school year when children come to the library after school with hungry bellies and we do not have food for them. We have some snacks that are provided to children who are doing their homework in the Homework center, but the snack is not enough to fulfill children’s needs. So I love to hear from others. It feels great to connect with people who shares same values. Also, I am very excited to hear all the wonderful speakers as well. Listening to wonderful stories always inspires me. The other thing that made me looking forward to the event, other than the ALSC Institute itself, is the weather! It has been two years since I moved to Florida, and I terribly miss cool and nice fall weather. It will be early fall in Cincinnati, OH. I will take crispy fall air as much as I can. I hope my heart doesn’t explode until the date because my excitement keeps growing! Sophie Kenney is the Youth Services Librarian at the Broward County Main Library in Boca Raton, Florida, and has been an ALA member for the past six years. Kenney is currently serving on the ALSC Equity, Diversity and Inclusion Task Force, the ALSC Awards Program Review Task Force, and the ALA Public Awareness Committee. Additionally, Kenney is also an ALSC Mentor. Hyunjin Han is the Children’s Librarian at the Mandel Public Library in West Palm Beach and is a member of ALA, ALSC, and the Asian Pacific American Librarians Association (APALA). Han was also a member of the Building Partnerships Committee with ALSC in 2016. This post addresses the following ALSC Core Competencies: V. Outreach and Advocacy and VII. Professionalism and Professional Development. 2, 4, 6, 8! In ALSC We Love to Advocate!